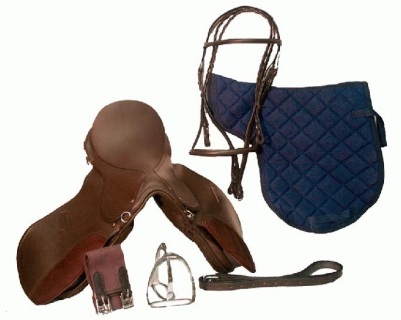 All-Purpose English Saddle with leather knee rolls. Comes complete with stainless steel stirrups, girth, leathers, English style leather headstall and quilted saddle pad. Showman set of 4 zebra print fleece polo wraps. Measure 4" x 118" with velcro closure. Made by Showman Products.